The Joy of Fashion: The 100 followers Giveaway! The Joy of Fashion now has over 100 followers!!! I can't believe it!! I am soooooo happy! Thank you everyone for being so supportive and making this such a happy blog!! Thank yoooouuuu!! So to celebrate, I thought I would host a little giveaway. It's just a little way for me to say thank you for everything. There will actually be two winners! 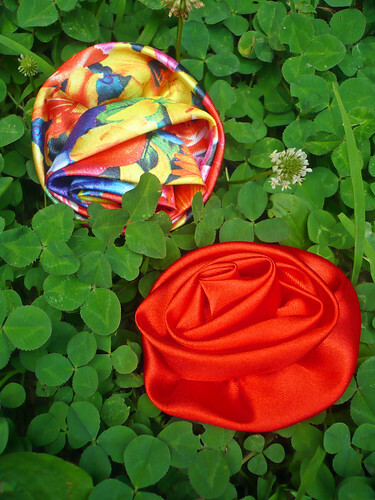 One winner will receive two cute floral elastic bands to accessorize your hair-dos. 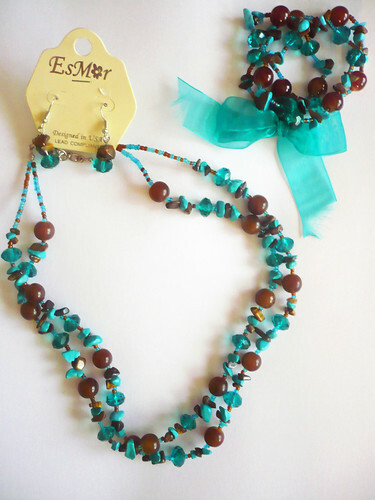 The second prize is a necklace, earring, and bracelet set! These are soooo pretty because they have a bright and shiny teal color! So how do you participate? All you need to do is leave a comment on this post saying you want to enter and please make sure you include your email! If you forget to add your email, the comment wont be valid as an entry because I don't have a way to contact you. Also, this giveaway will run until Sunday June 20 at 11:59 p.m. EST. The winner will be chosen using a random number generator and will be contacted through email. The winner will have 72 hours (3 days) to reply to my email, if not another winner will be chosen. 1. favorite part is seeing the vibrant outfits everday! its always so colorful! 2. seeing you in more pants or jeans would be cool! i want to join in this giveaway! congrats on 100 followers! the giveaway idea is such a lovely (and generous) way to celebrate. Congrats on the 100 + follower milestone! My favorite part of your blog is the Outfit of the Week - readers choice. I love seeing how you put together your outfits. I would love to be part of this wonderful giveaway! I absolutely love the outfit of the week! It's fun to see which of your fabulous outfits win. I'm new to your blog so I'm still browsing what my fave part is... I love the latest post where you posted your outfit and your source of inspiration. 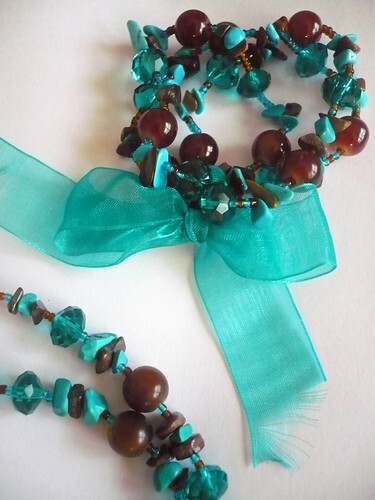 I love the brown and turquoise beads! I am your follower! so enter me. and this is my email. and the best part of this blog is seeing you come up with something new everyday. the ways you wear things, they bring inspirations! I follow your adorable blog! I love when you do the 'other ways I've worn this' at the bottom of each post. It's neat to see the variety in the different items of your wardrobe. I'd love to be entered in the givaway! 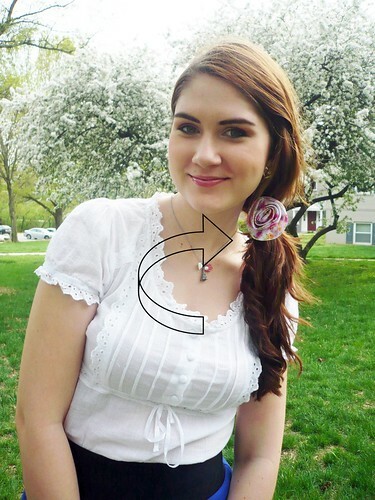 My favorite part of your blog is seeing how you wear a piece different ways. I also enjoy voting each week for my favorite outfit. Love your blog! My favourite part of the blog for sure the poll of the outfit of the week... I LOVE IT!! The last comment :D !! 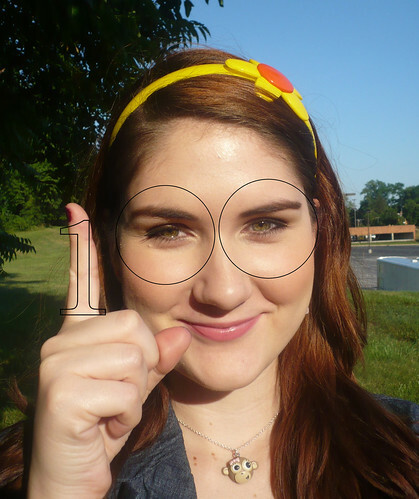 Entry 2: My favorite part of the blog is the pictures! Obvious answer, maybe, but there are fashion blogs that discuss trends or that re-post pictures from other places, and I love the original pictures of your colorful, fun outfits! Entry 3: I love your theme/challenge weeks and birthday tributes. I'd love to see you continue the theme weeks. I have a personalized challenge suggestion for you: a week with no belts. Entry 4: I'm already a follower. My favorite part of your blog is your awesome outfits, of course! :-) I love getting style inspiration from blogs like yours. My only suggestion is maybe doing some reviews from your favorite stores. That's always fun to see. I always love seeing the remix photos of the multiple ways you style an item. I like how you show photos of how you've worn different pieces with multiple outfits. I also like how your readers vote on a favorite outfit every week. It's always interesting to see if other readers agree with me! I would love to see how you organize all your clothes! You must have a giant closet!! My favorite part of this blog is all the color! You always inspire me with the combinations you come up with!